Wind is forecast to be light and variable. 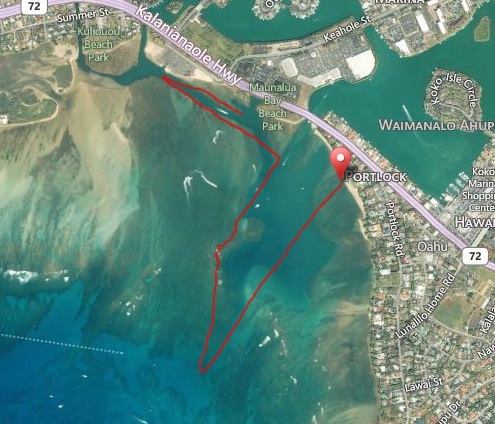 After coaching, we will do the regular 2 mile time trial training course, meeting at 5 pm at the boat ramp in Hawaii Kai. 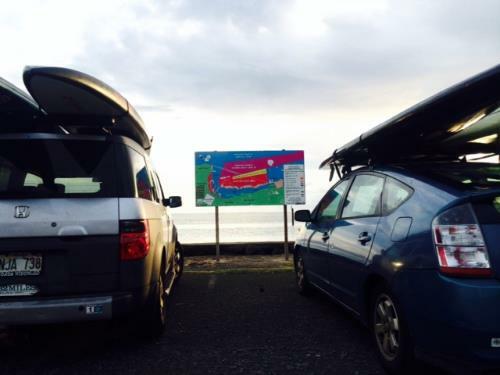 Where: We meet by the Hawaii Kai Boat ramp and enter the water on the small beach on the left of the boat ramp. We will start with some weekly coaching tips and stretches before hitting the water to do some drills and warm up for the time trial. 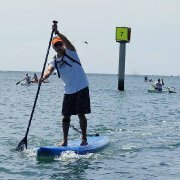 What: We will start with signup, technique coaching on the grass with a different topic/focus each week, drills, warmup, paddle to the start. The time trial will start around 6:15 pm on the beach at Portlock. We will keep track of name, race number, board class (12′6, 14′, unlimited, other watercraft welcome to join) and male/female, no age groups. Why: The goal is to improve technique, stay in shape and boost performance. Comparing times will allow us to see improvements in conditioning, the effect of using different technique and gear, and the impact of the conditions/wind. Times will be recorded and posted online after each time trial and we will have a spreadsheet that will make it easy to compare performance. We want to encourage some of the younger paddlers and help them become competitive racers. Please join us and forward this email to any friends you think might be interested, the more the merrier. Although the coaching/time trials are geared towards more advanced paddlers, we always welcome less experienced paddlers that want to improve their skills. 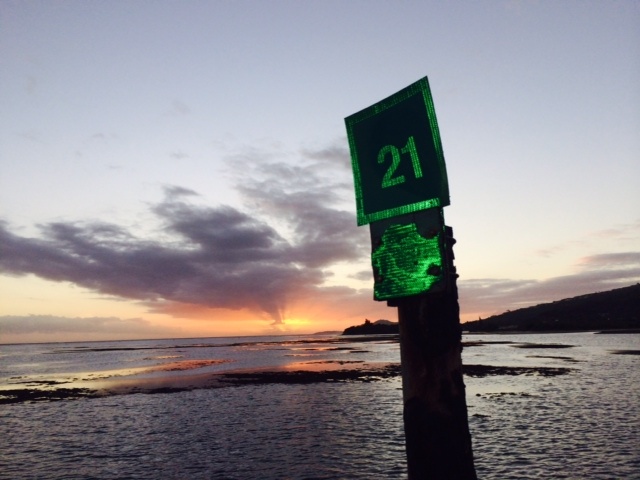 This is the bay course: Portlock beach start to the blinker buoy (last channel marker), to the inside green #1 channel marker (left turn), right hand turn on the last green channel marker by the canoe hale, back toward the keyhole. The finish is at the red #14 marker. Turn around at the Blinker Buoy. 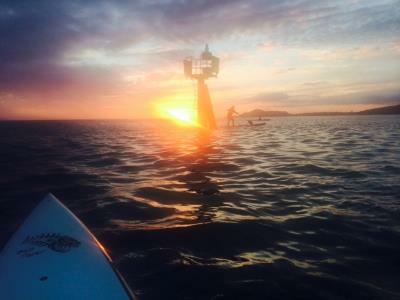 Then we come back, hopefully catching a wave or two, paddling towards the bridge, then turn left at the green #1 buoy. Right hand turn on the last channel marker by the boat ramp. Then to the #14 marker in front of the keyhole, which is the finish line. Total time trial course is about 2 miles. If you purchase a 10 pack, we will use the time trial results to keep track of how many time trials you have attended. Jeff is keeping a spreadsheet of who paid and how many credit were used. We will let you know when the next payment is due. Mahalo! I’m interested in joining. I just started, but I’d like to join a team. Is it OK to join. Thank you. This entry is filed under Events, News, Press Releases, Sessions. You can follow any responses to this entry through RSS 2.0. You can skip to the end and leave a response. Pinging is currently not allowed.